Well it’s been too quiet for the last two weeks. Never the less we’ve been really busy working on the new release and well… be prepared for something new! But there’s more news! We’ve worked on a couple of brand new songs, concepts for new videos, artworks, etc. If you want to see us live, performing a brand new song we never played before, you shouldn’t miss our next gig at Soul Kitchen, celebrating our friend Luc‘s birthday, altogether with Torian, the power metal heroes from Germany! The show will be for free. This entry was posted on 18. 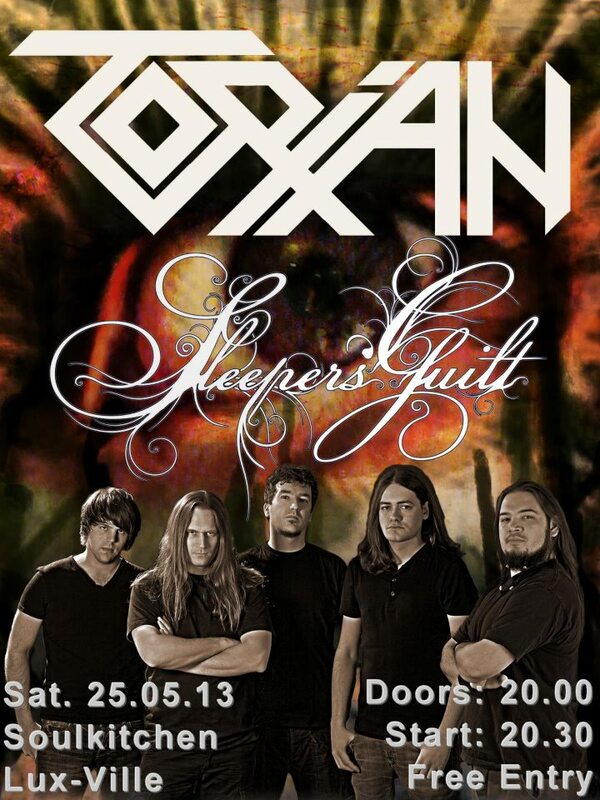 May 2013 by Sleepers' Guilt. It was filed under Release, Shows and was tagged with Francois, Luc, Manu smells, metal, Power, soul kitchen, Torian.